Hansel and Gretel is always performed at Christmas time in Germany. Everyone loves it, even though, it’s not actually very Christmassy. For example, Hansel and Gretel collect strawberries in the forest snd sleep outside… not really things we would do in December! 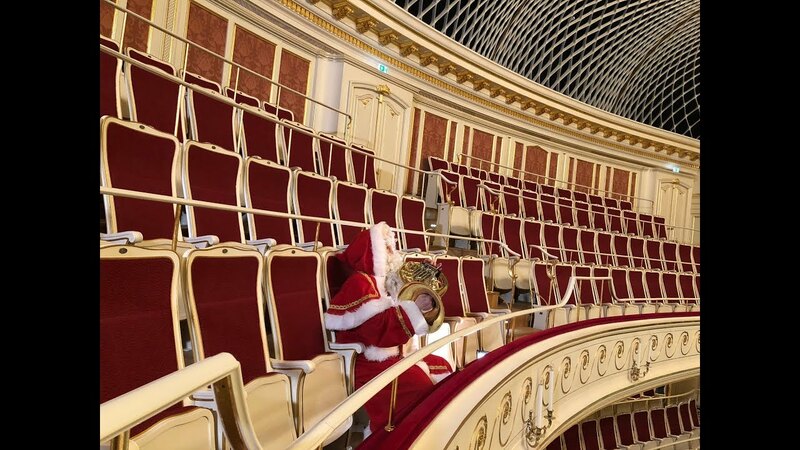 But for the German audiences, it was no surprise that Humperdinck’s opera – in its new production here by Achim Freyer – was performed as part of the Christmas programme at the newly re-opened Berlin State Opera. The Berlin State Opera, or “Staatsoper Unter den Linden” in German, underwent a seven year renovation and re-opened recently. Everything has been impressively modernised behind the scenes while managing to retain the unique Staatsoper front of house experience for audiences. For me it was wonderfully nostalgic to be back at the Staatsoper. It was my very first job as a horn player and I spent 10 very happy years there. I had always found it a very special place – just like a big family – and this hasn’t changed a bit. My visit felt like I was coming home – I loved it! I hope you enjoy this Hansel and Gretel-filled episode and it just remains for me to wish you all a very Merry Christmas and a Happy, music-filled New Year!